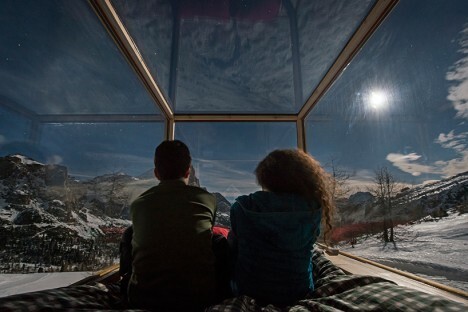 Watch for shooting stars and identify constellations from the comfort of a warm and cozy bed in rooms designed to provide nearly unfettered access to the sky, with transparent roofs blurring the lines between indoors and out. 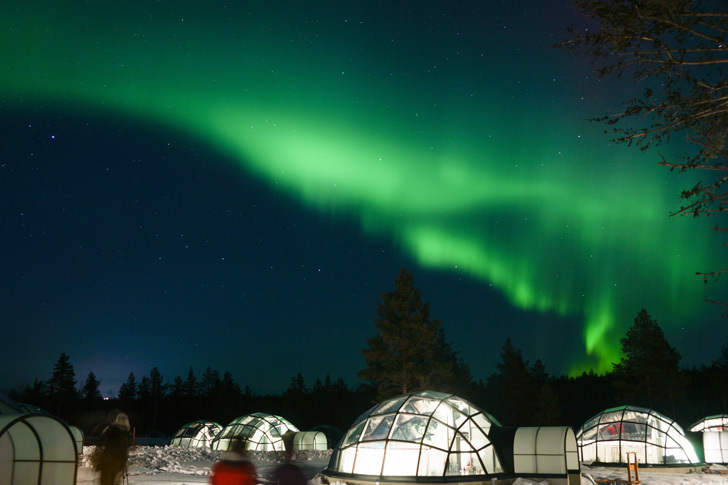 From hotels in some of the world’s prime stargazing locations like Finland and Chile to homes equipped with observatories to a tree house that literally lifts its lid, these see-through structures flood the interiors with sunlight during the day and offer amazing views at night. 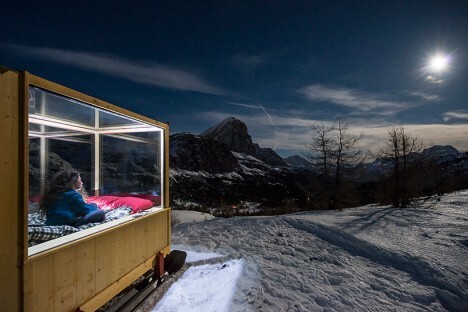 Set on faux skis, with a glass ceiling and walls, the Starlight Room looks out onto the Dolomites in the northern Italian town of Cortina d’Ampezzo for high-altitude views far from light pollution and noise. 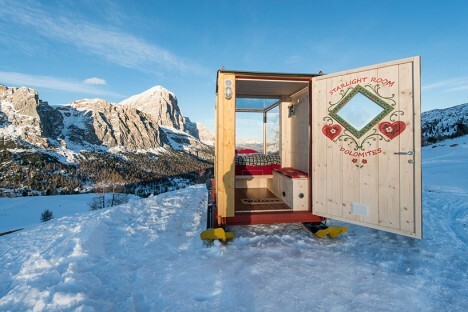 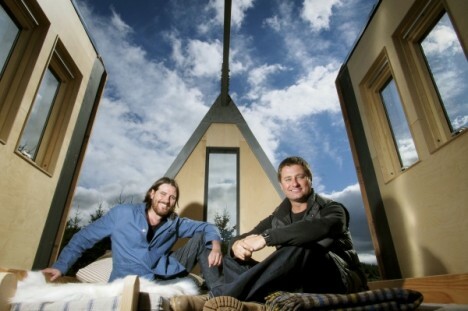 The tiny hotel room accommodates singles and couples, and contains little more than a double bed and television. 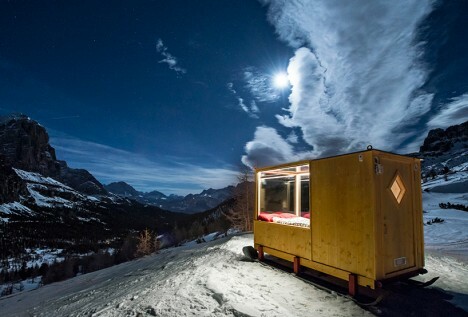 Guests arrive via snowmobile or snow shoes, and room service is delivered, though it looks like exiting the cabin to go to the bathroom in the snow might not be the most pleasant experience in the middle of the night. 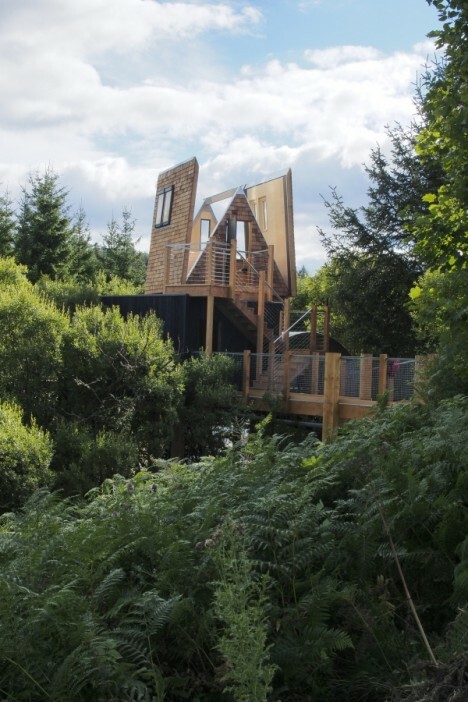 The roof of this tree house by architect George Clark opens to the sky, enlarging the space so it can be used as a protected indoor shelter or an open-air observatory. 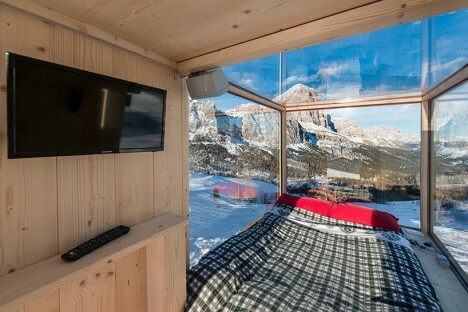 Located in England’s Kielder Water & Forest Park, the Sky Den has flat-pack furniture built right into its movable walls, so guests can pull down and set up whatever they need to be comfortable, from beds to stools and benches. 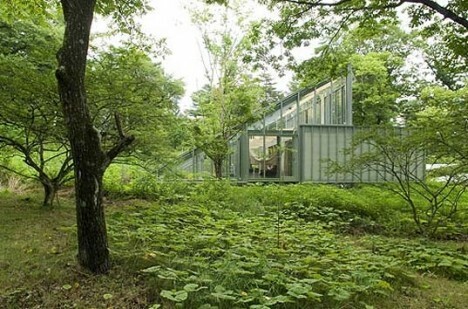 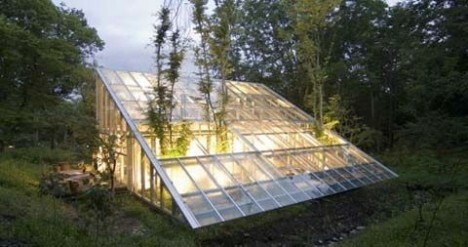 A habitable greenhouse, Hiroshi Iguchi’s Camouflage House blends into the landscape, with an inner core of private spaces surrounded by a glass enclosure. 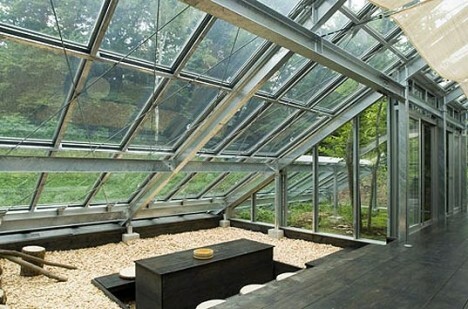 Almost completely transparent, the house in Nagano, Japan incorporates an interior garden via openings that allow trees to grow straight up the angled roof from the courtyard. 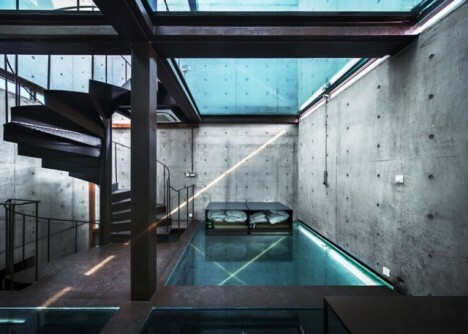 This four-story house in Shanghai by architect Yung Ho Chang of Atelier FCJZ features a glass roof as well as transparent floors on three levels, so you can see the interior of each floor in addition to the sky. 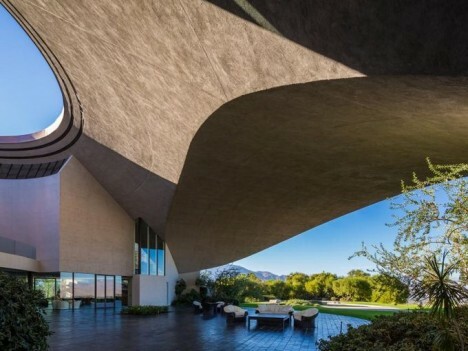 Designed as a concrete box with no windows, the home gets all of its daylight from the ceiling. 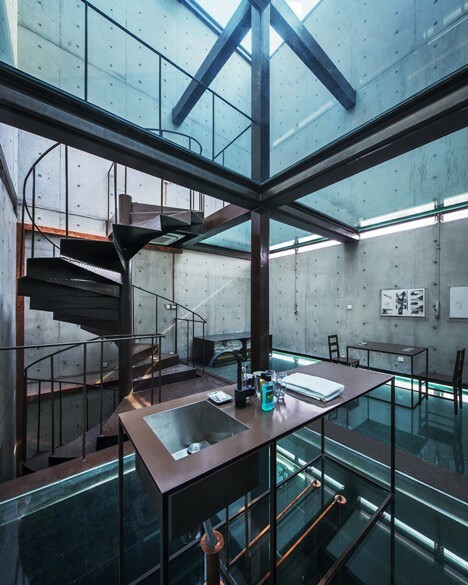 Talk about radical transparency – the toilet is even visible from just below the dining room. 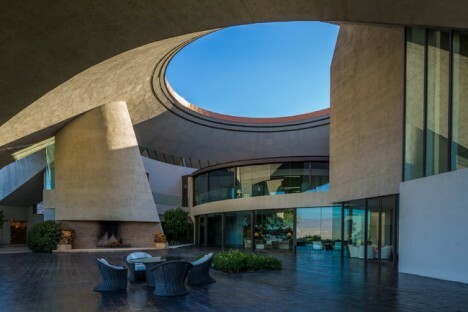 Designed by John Lautner in 1973, the house Bob Hope lived in for decades with his wife Dolores features a dramatic oculus for daylight and stargazing. 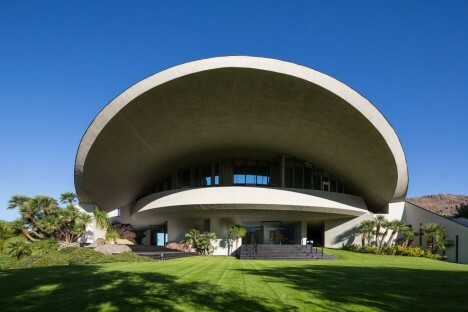 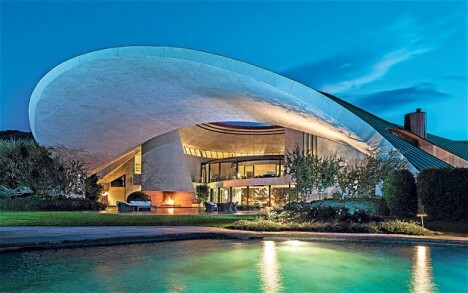 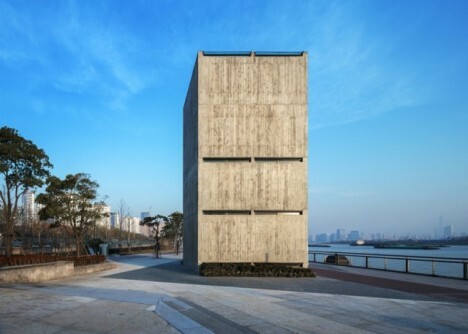 The bizarre-looking structure was nicknamed ‘UFO House’ and ‘Volcano Home’ for its unusual shape when viewed from afar. 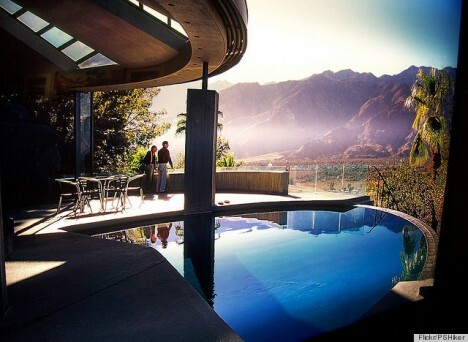 Lautner refused to claim the project as his own work, reportedly because Dolores Hope demanded changes to the interior that didn’t fit his artistic vision.